Stepping Stones at Westbrook in Warrington is ideally located at Westbrook Shopping Centre, close to several local primary schools. We were awarded Good by Ofsted in March 2017. 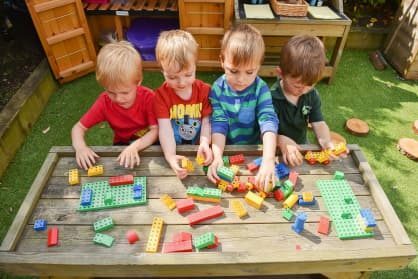 We pride ourselves on a warm, homely environment where our dedicated team can help your child develop through play and creative activities, with a hands-on approach to learning. 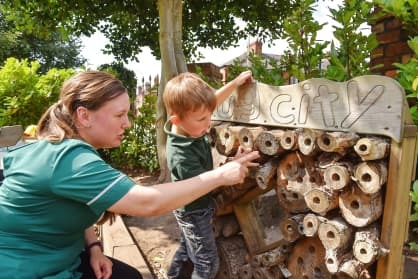 Outdoors, we visit the local woods twice daily so the children can climb, jump and investigate mud and water, using their imagination and the natural surroundings to build on their play. 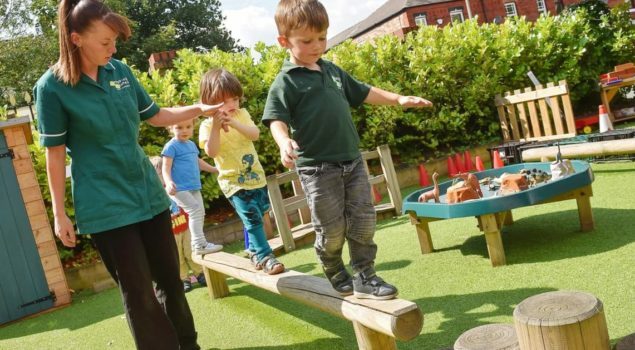 We encourage healthy lifestyles, asking children to bring a healthy packed lunch every day, and offer sessions from physical activities to Maths lessons together with trips to visit the local zoo and library, for example. Our popular stay and play sessions allow parents to join their children in their daily activities. 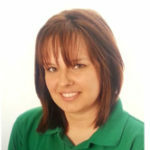 Focusing on developing your child’s independence, we help them through the transition from babbling to early language, helping them build relationships and become a unique individual. 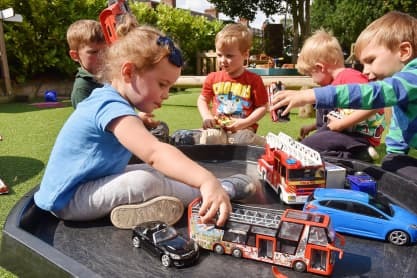 Our toddler room is a bright, stimulating environment that encourages children to explore and develop through interesting and challenging experiences based on their own interests. Safety is of utmost importance at Stepping Stones. All parents, children and visitors access the building via one main door which is operated by the Nursery Manager. Only authorised persons can collect children and any changes to the usual procedure must be communicated to staff, with a password system used for security. Fantastic nursery! All the staff really do feel like family.